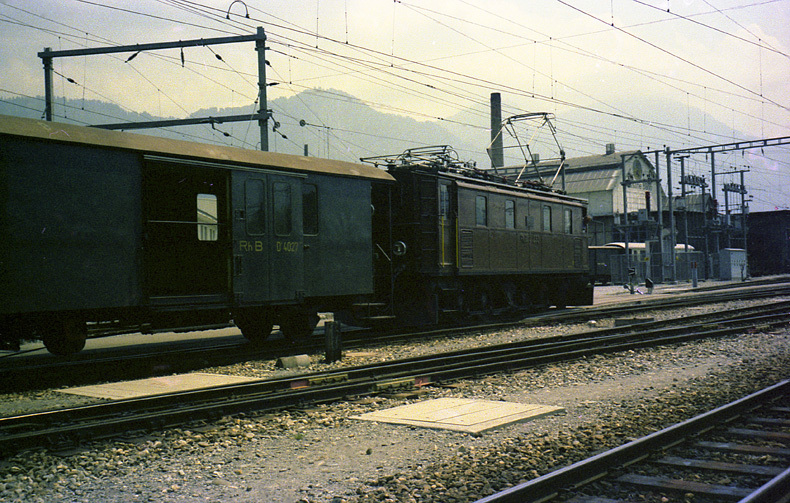 All members of 1'D1' type electric locomotive of the RhB where delivered in the 1913/14, so shortly after the delivery of the 1'B1' had ended. 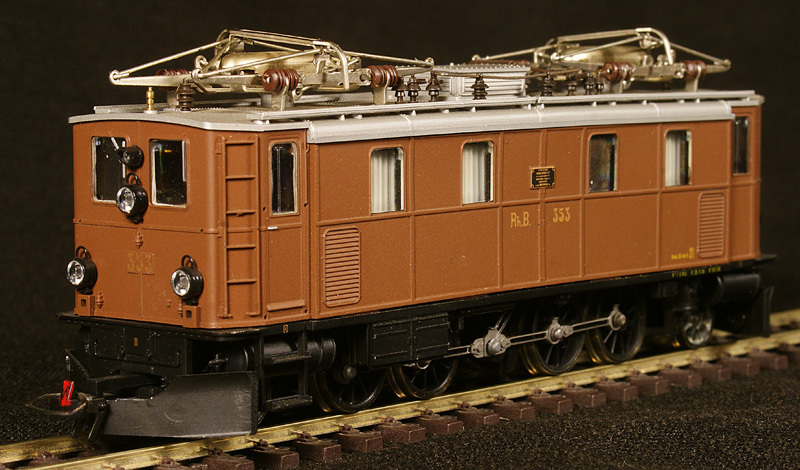 Though all referred to as Ge 4/6 the class divided in subclasses 301-302, 351-352, 353-355 and 391, all slightly differing in size and characteritics. 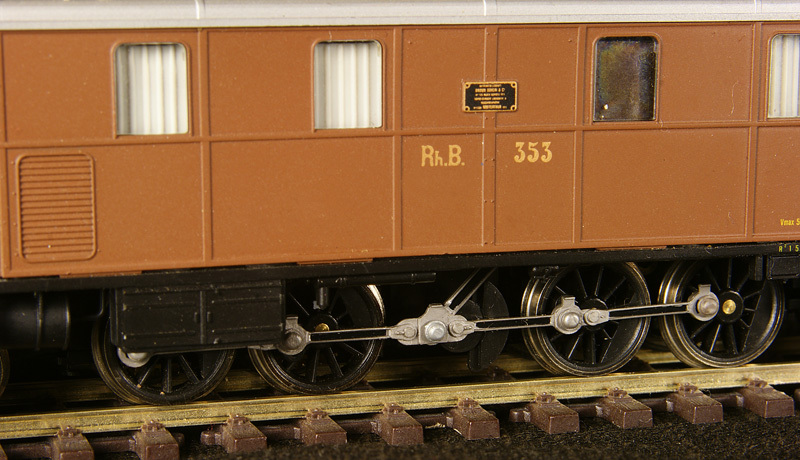 Only the 301-302 was visually very different in that it had two electric motors driving a rod triangle, so two slanting rods were seen driving the blind axle. The other members of the class had only one such rod on each side. As far as I can determine the loco's led a rather inconspicuous and uneventful life. Considering their lifespan they must have been successful, they last until well in the seventies. 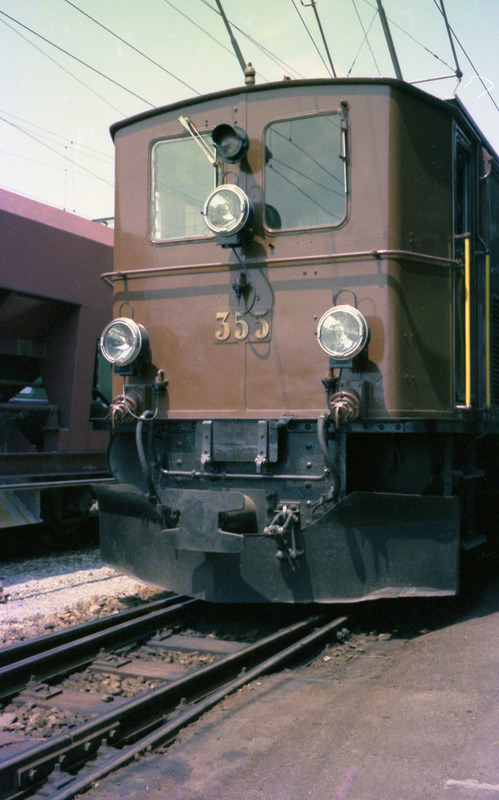 The 353 survives on its home net as a heritage loco, 391 resides at de German Technology Museum in Berlin. 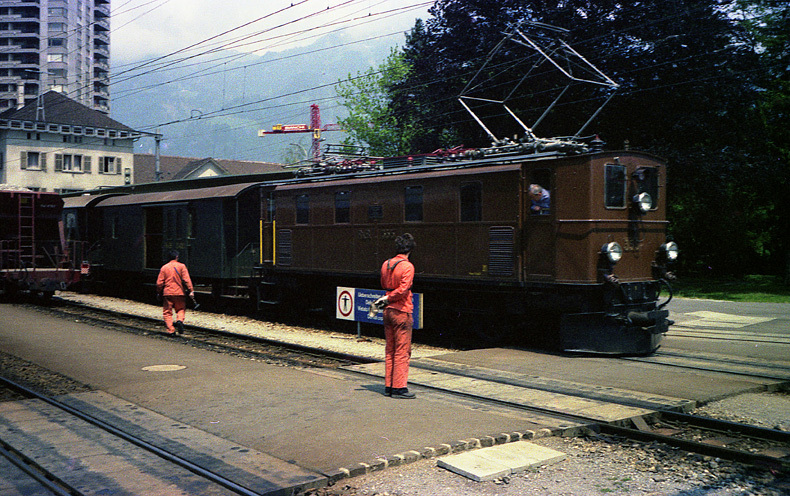 All photos: no 353 shunting at Landquart in 1977. 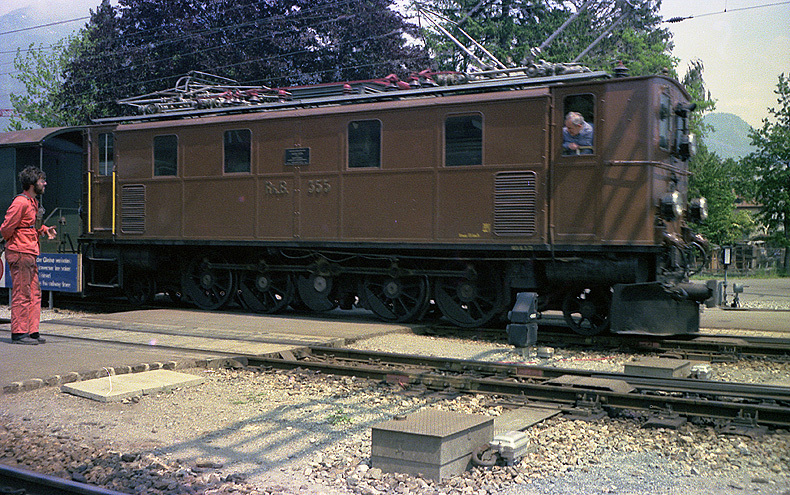 The loco was scrapped in 1984. 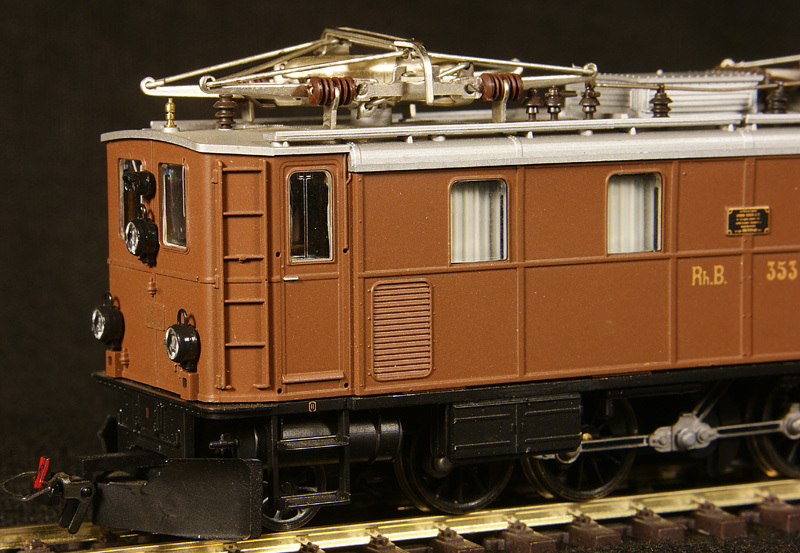 A sad testimony to the negligance of the Rhätische Bahn in respect to its heritage. 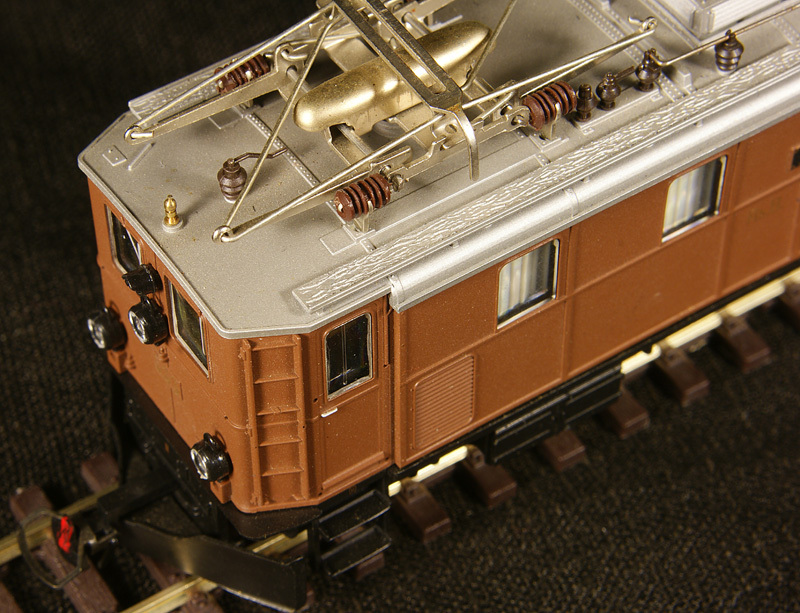 Bemo sells an excellent depiction of the loco in HOm (1:87 meter gauge). 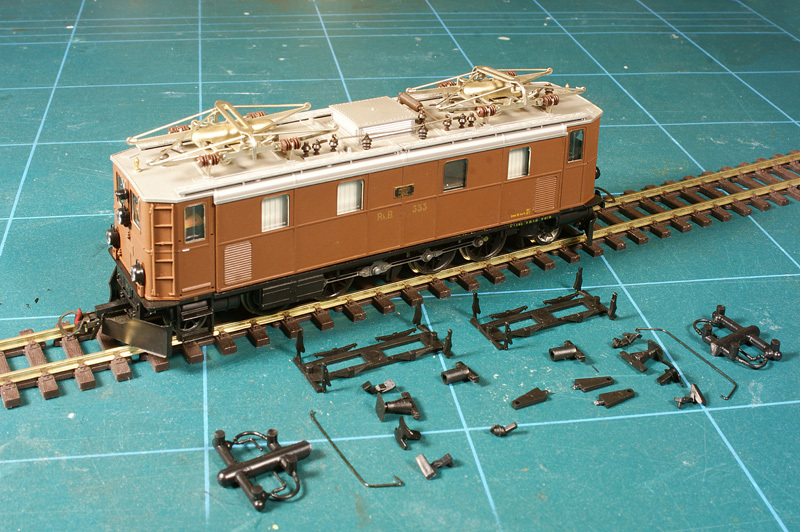 In the previous two years I had already bought a Ge 6/6 and e Ge 24. I wanted to complete the series by buying a Ge 4/6. As bought the first two for only €95 each I set myself a goal to buy the Ge 46 for the same price. Well, it took quite some time but in the end I managed to obtain this one in November 2013 for €100 exactly. But, be honest, isn't the loco cute?